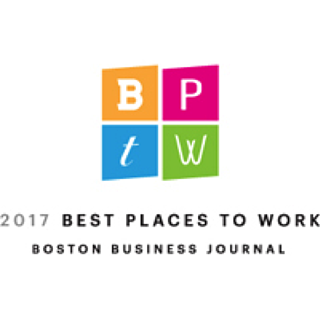 Lexington, MA, April 24, 2017 - Daymark Solutions, a leading provider of information technology solutions, today announced that for the 8th year in a row it has been named by the Boston Business Journal (BBJ) as one of the Best Places to Work in Massachusetts. Daymark earned the distinction by being one of the top-scoring companies on the employee surveys submitted to the BBJ. The BBJ will recognize this year's honorees — and count down each category's top-ranked places to work — during its 15th annual Best Places to Work event scheduled for the evening of June 23rd at Symphony Hall in Boston.